V is for Victory, and will be a favorite for any businessman on the go! 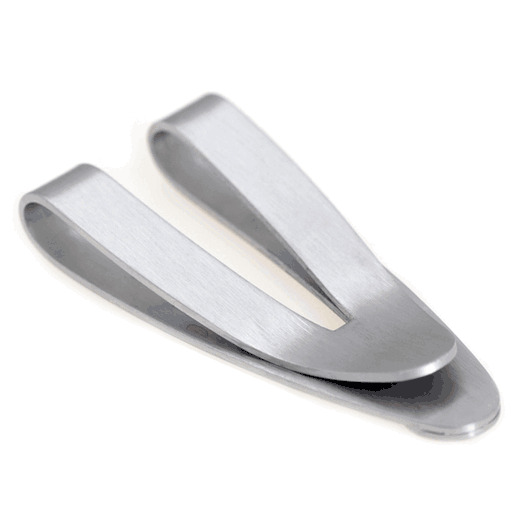 The unique, contemporary design of the V-shaped clip shows his untraditional outlook, and unquestionable sense of style! 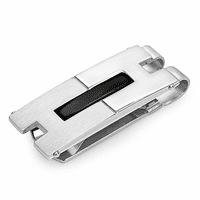 This money clip is solid stainless steel, with a satin finish, and has a French fold grip that securely holds up to 20 folded bills. 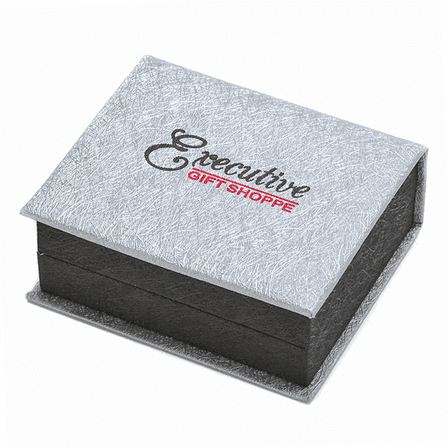 Make this gift even more special with custom personalization, available at no extra charge! It comes packaged in a gift box, ready to help him Dress for Success! 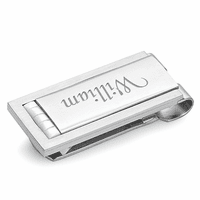 Dimensions: 2 1/4" x 1" x 3/8"
How do I fill up the names that I want on the money clips? 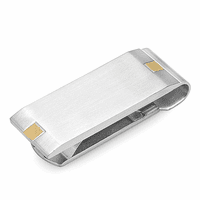 This particular money clip cannot be engraved. Most of them can. 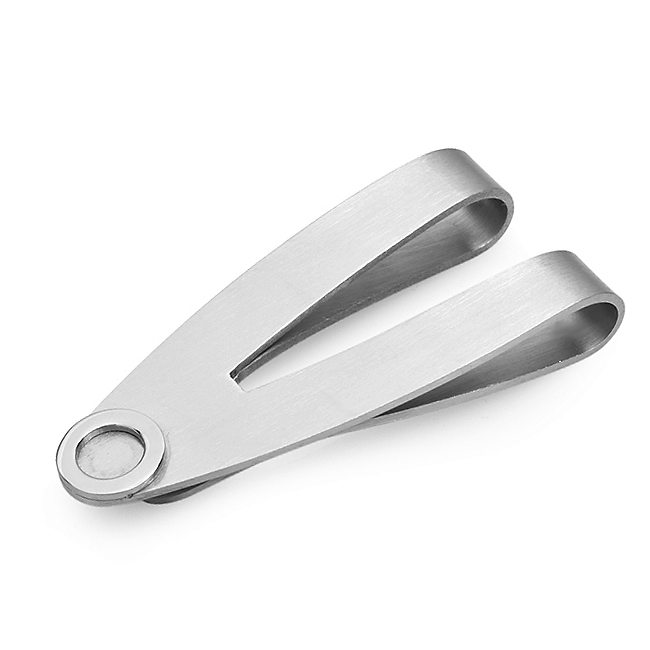 For the ones that can be engraved, you'll need to check the "Personalize" box right above the Add to Cart button on the item page before adding it to your shopping cart. Please let me know if you have any problems with this. This is a decent product, but I was disappointed at the $9+ I was charged for shipping, especially sine it took a week and a half to arrive... Seems like a scam. Does it really cost that much to ship a 1 ounce product over ground?